In addition to supplying hardware for both timber and aluminium sliding sash windows, Caldwell’s comprehensive hardware range is also able to cater for virtually all PVC-U sash window configurations. Our hardware which is specifically designed for use in PVC-U sash window systems is both decorative and functional, ensuring that our customers are able to specify to exact aesthetic and performance levels. Caldwell’s decorative hardware for PVC-U sash windows ensures that our customers can create windows which not only operate to an exact specification, but also achieve an appropriate aesthetic. 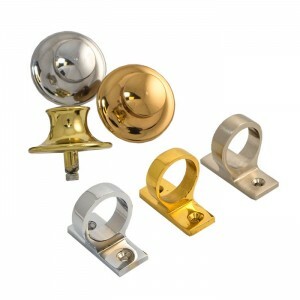 Alongside our decorative hardware pieces, Cadwell produce a comprehensive range of functional hardware which means that specifiers and fabricators can choose products from our range which are able to meet the required specifications for virtually any project.